LEEDS, England (VN) — A new generation of Americans is taking over the Tour de France this summer. A year ago, the hangover from the Lance Armstrong doping scandal cast a heavy shadow over the American peloton, but 12 months onward, the conversation is not about the past, but about the future. And the here and now. Andrew Talansky (Garmin-Sharp) and Tejay van Garderen (BMC Racing) will both start this year’s Tour as outright GC candidates, each protected by their respective teams. There’s a feeling that a new chapter is being written, and that sense of history is not lost on riders such as Talansky, who said he steps into the leadership role for the Tour with a strong sense of obligation to the fans. Both BMC Racing and Garmin-Sharp have brought teams fully committed to helping Talansky and van Garderen push for the yellow jersey. It’s the first time that two legitimate American podium contenders from two U.S.-registered teams have led their respective teams outright at the Tour. And that this comes after the toxic fallout of the Armstrong scandal makes it even more significant. Ted King (Cannondale), 29, back for his second start at the Tour, said that the level of the American peloton is impressive. Nine U.S. riders on six different teams will start this year’s Tour, another marker of the diversity of the American presence in the peloton. Four are Tour rookies, and save for veterans Danny Pate (Sky), 35, and Chris Horner (Lampre-Merida), 42, the Americans racing this year have made their professional debuts in the era of the biological passport, introduced in 2008. Both Garmin and BMC are building their entire programs around their respective young Americans. “This is what I say is the start of a long-term project. 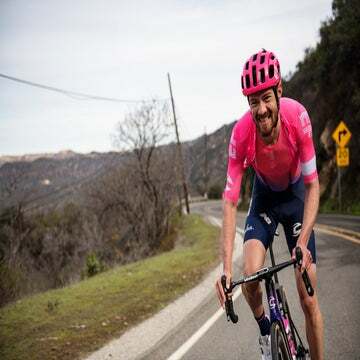 I’ve had this belief in Andrew in quite a while, that he can become one of the top grand-tour riders in the world,” Vaughters said. BMC manager Jim Ochowicz echoed that sentiment, saying his team is firmly committed to van Garderen, with 2011 Tour winner Cadel Evans not starting the Tour for the first time since he joined BMC. 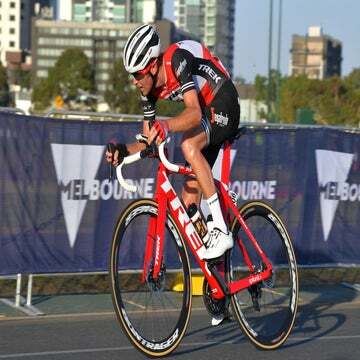 Matthew Busche (Trek Factory Racing): The 29-year-old is making his Tour debut, and will be helping GC leaders Fränk Schleck and Haimar Zubeldia. He also hopes to have a chance to go into breakaways to hunt for a stage win. Chris Horner (Lampre-Merida): Back for his seventh Tour start, the 42-year-old Horner continues to defy age. The defending Vuelta a España champion crashed heavily during training, forcing him to miss the Giro d’Italia. He will ease into the Tour, sharing leadership duties with reigning world champion Rui Costa. Alex Howes (Garmin-Sharp): The 26-year-old makes his Tour debut as a key helper for Andrew Talansky. After impressive rides in the spring classics and his grand-tour debut last year at the Vuelta, Howes is part of a new wave of younger riders being groomed at Garmin. Ben King (Garmin-Sharp): The 25-year-old also makes his Tour debut with Garmin. The lean climber will be helping Talansky deep into the mountains. 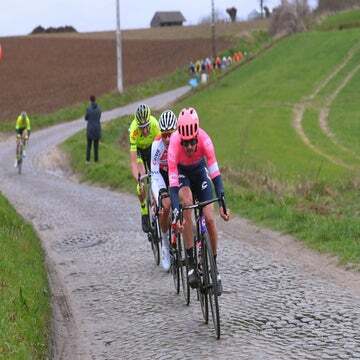 Ted King (Cannondale): The 31-year-old starts his second Tour, and will be a key helper in Peter Sagan’s quest for a third-straight green jersey. King also hopes to put last year’s bitter exit from the Tour behind him and ride all the way to Paris. Danny Pate (Team Sky): The 35-year-old is back for his fourth Tour start, and his first since joining Team Sky. Pate will be one of the strongmen who will protect Chris Froome on the flats and patrol the peloton to reel in dangerous breakaways. Peter Stetina (BMC Racing): The 26-year-old Stetina is another Tour rookie, and brings solid experience from the Giro d’Italia. The Coloradan will be one of van Garderen’s key men for the final stages in the mountains. Andrew Talansky (Garmin-Sharp): Hot off winning the Critérium du Dauphiné, Talansky returns for his second Tour as Garmin’s protected rider. He will be looking to improve on last year’s 10th-place finish, and as his Dauphiné win showed, he should not be counted out for anything. Tejay van Garderen (BMC Racing): Back for his fourth Tour start, the 25-year-old will start as BMC’s lone captain. Fifth overall in 2012, van Garderen will be a legitimate contender for the final podium, especially if he rides into the final time trial near the top of the leaderboard.